It’s hard not to think about the Quabbin as a grand place, and it is, but if one looks carefully, down in this case you’ll find another world. Actually, this particular world is all around us even if we’re in the city. Very small (usually) wild flowers are everywhere, and they are lovely. Chris is a master at spotting these little guys, recently aided by the work of photographer and naturalist Frank Kaczmarek whose wonderful Falcon Guide, New England Wildflowers includes detailed descriptions and wonderful accompanying images that are essential to the quest. We’ve identified well over 50 different and beautiful plants in just the past few months. They can be very tough to photograph. 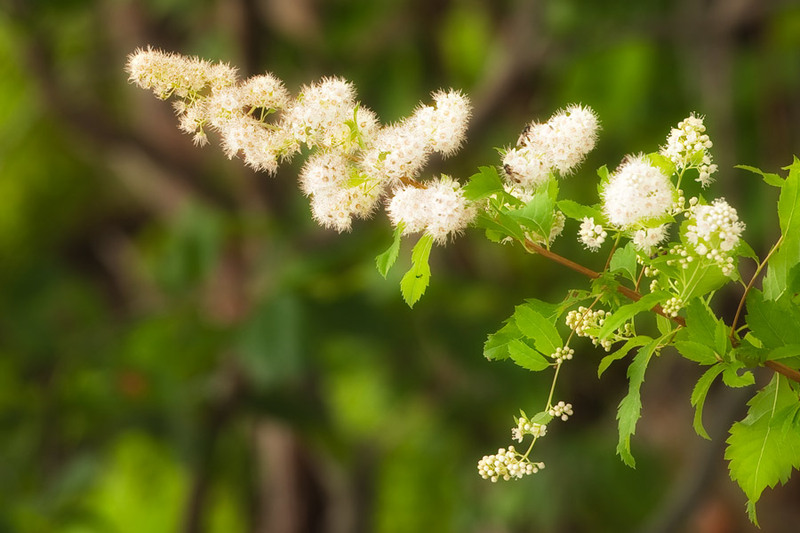 In some cases the blossoms are no more than an inch in diameter and many are considerably smaller. Luckily, they tend to travel in packs. Here are a few samples. Click on the image to see a larger version. 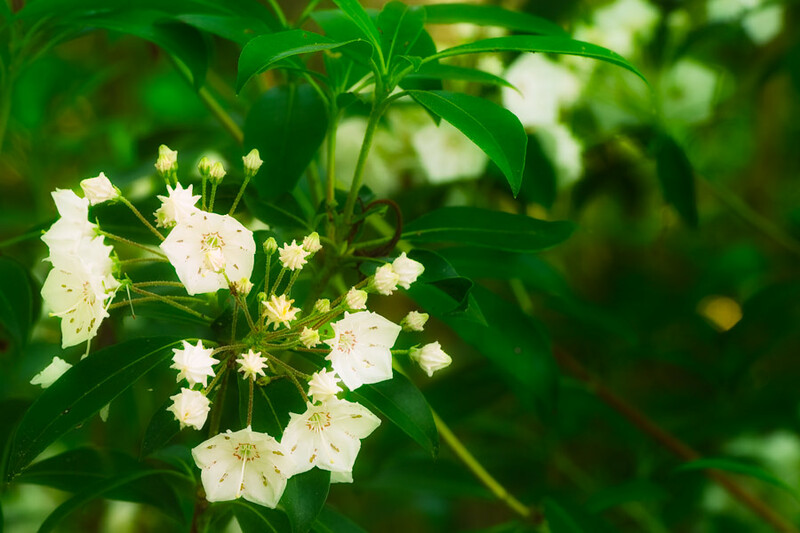 We start with the well known Mountain Laurel (an invasive species as it turns out, and not the only one). As you can guess, wild flowers are often hosts to a variety of visitors. 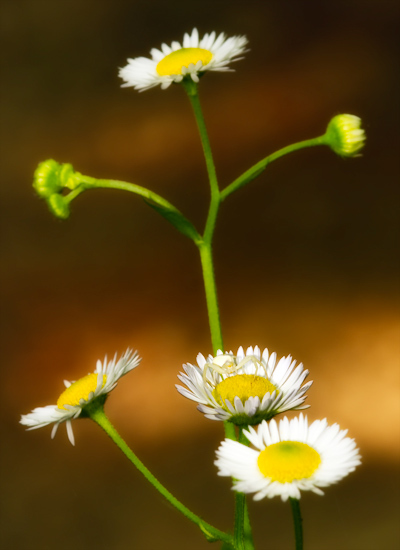 Take a close look at this Daisy Fleabane, and friend. 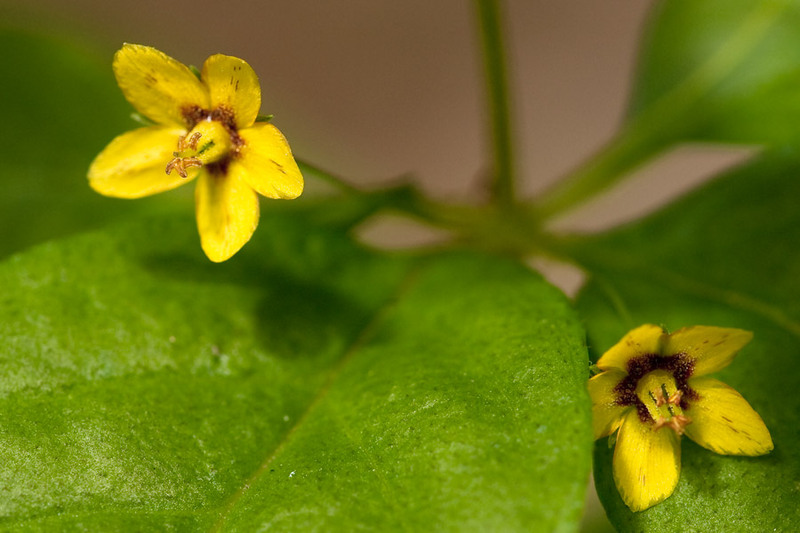 The beautiful Hop Clover is one of the smaller ones, less than half an inch across. Another small fry, a pair of Whorled Looseleaf’s (got to love the names). Some of these are in fact weeds, but that does not make them less interesting. 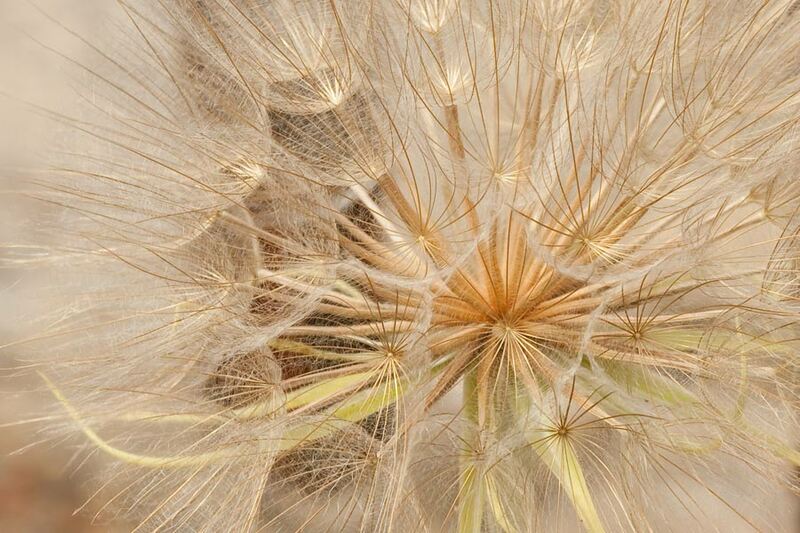 Here’s a close up of a Goat’s Beard. Most of these shots were taken on the north side of the Quabbin Watershed at Gates 22 and 15. This shot was taken right in front of the Spillway in the Quabbin Park. 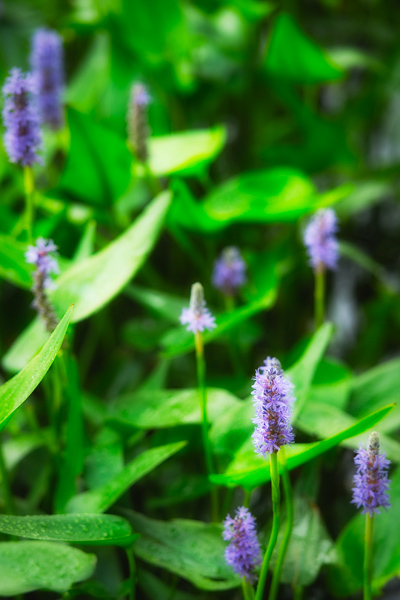 Many of these plants are also biologically quite active, useful for a variety of medically related functions. 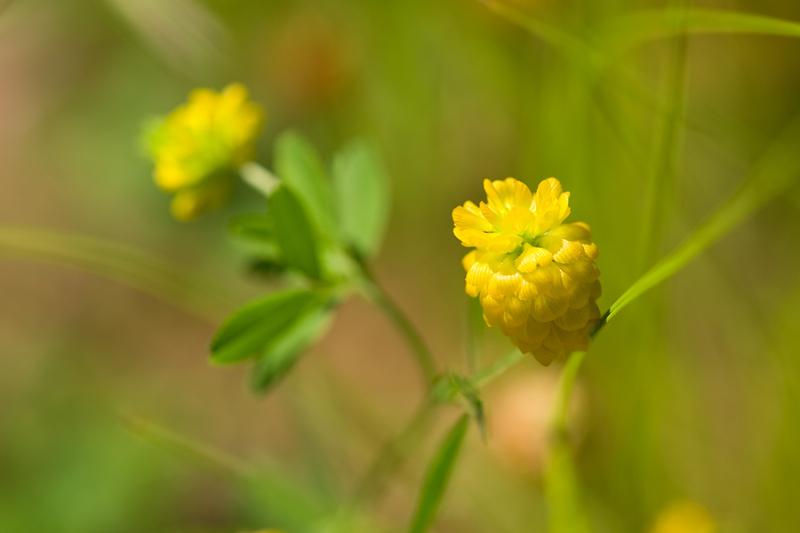 The Guide to New England Wildflowers has the details. Here’s a branch of Winged Sumac. Now we turn to battle. 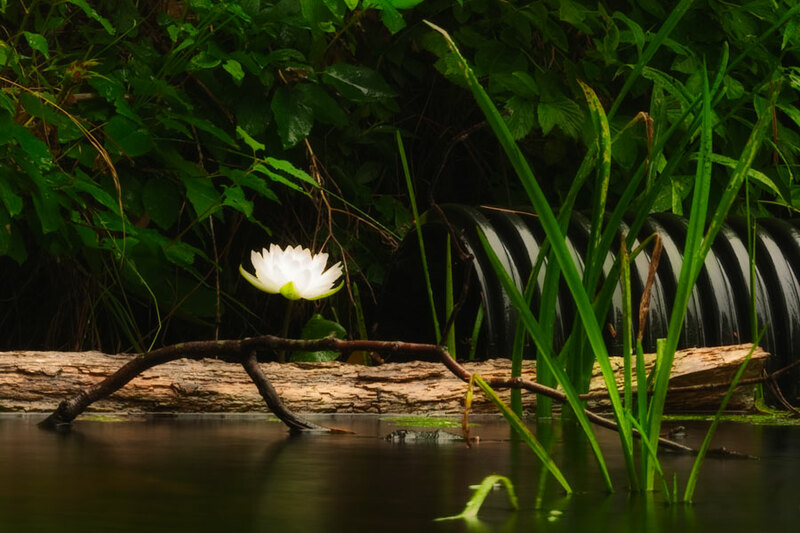 At Connor Pond, just north of the Watershed in Petersham you will find the pond surrounded just at water’s edge by this lovely creature, the Pickerel Weed, another highly valued flower and seed. 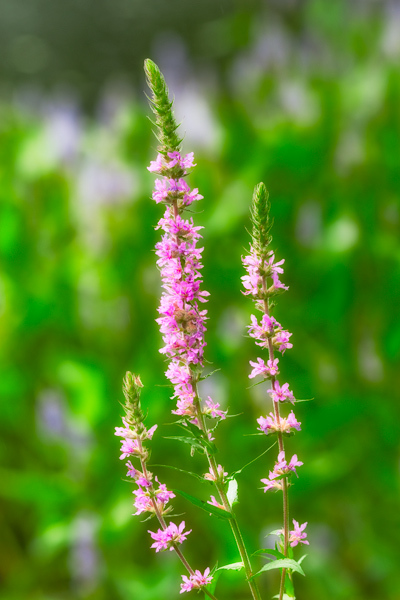 But, it is under attack by another invasive, equally lovely and similar in many ways, the Purple Loosestrife. This flower, imported from Europe, is evidently capable of taking over the joint. That has not happened at Connor Pond, yet. We’ll have to follow this challenging situation over time to know the rest of the story. Traveling just a bit further up Route 122, we came to the Harvard Forest and Pond, a lovely spot. 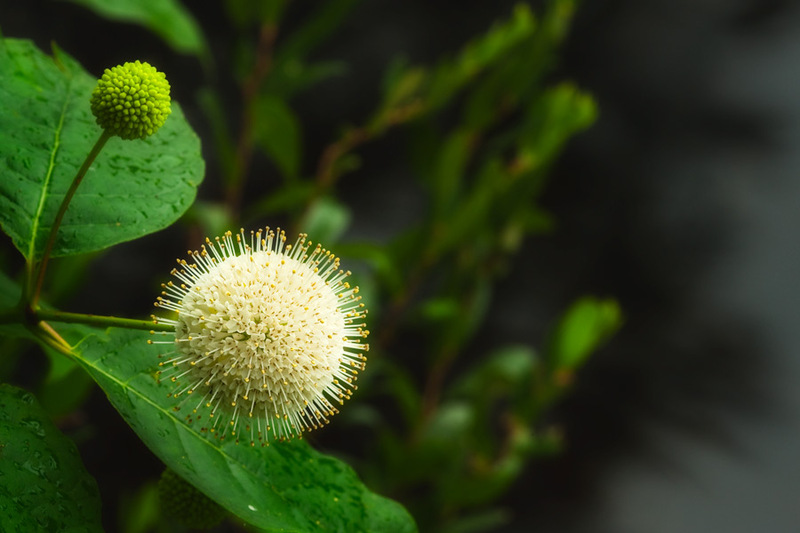 Here’s a Buttonbush. Shooting much more now, so I’ll be posting on a frequent basis. Enjoy the heat.